NEW PRICE! Open House Sat, February 23rd 1-3PM. 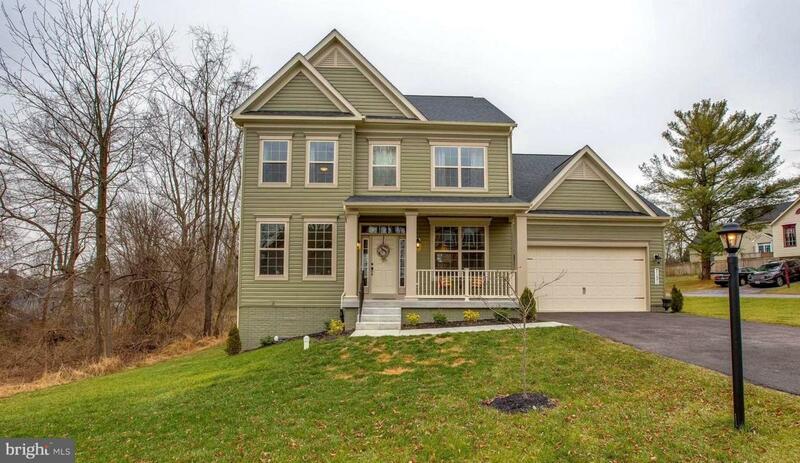 1 year young Monocacy A plan built by Ryan Legacy on a corner lot in the private LAKE Linganore Association. Blocks to Lake Merle and a short drive to -Coldstream Pool. 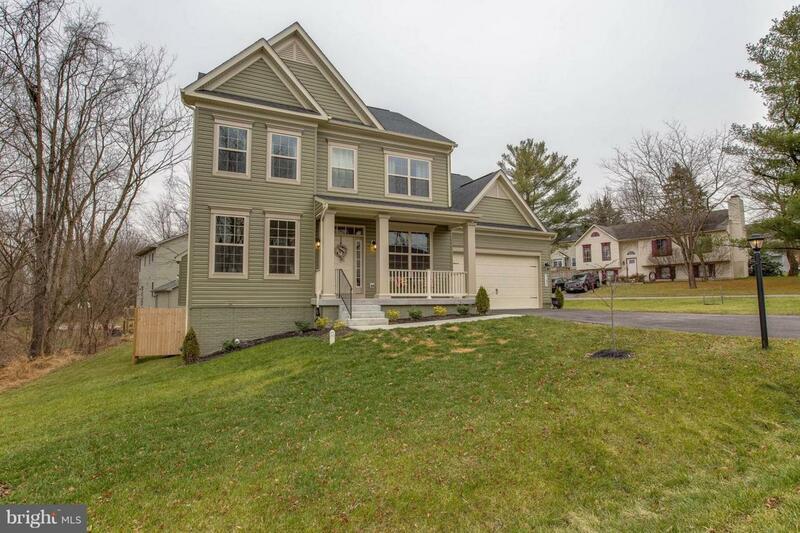 This home boasts almost 2,500 square feet of modern amenities and style. Enter through the over-sized two car garage into your drop zone. Ideal place to add a storage bench and collect coats, shoes and more. Your Butler's pantry is another welcome addition to store wine, mail, additional serving pieces you may not use daily. The gourmet kitchen is truly the heart of this home filled with granite counters, white cabinets with custom pulls, stainless appliances, an island for prep and breakfast with custom legs added. Dine-in while entertaining in your adjacent breakfast nook and cozy family room replete with Gas fireplace, mantel and hearth. Plenty of recessed lights complete this space. 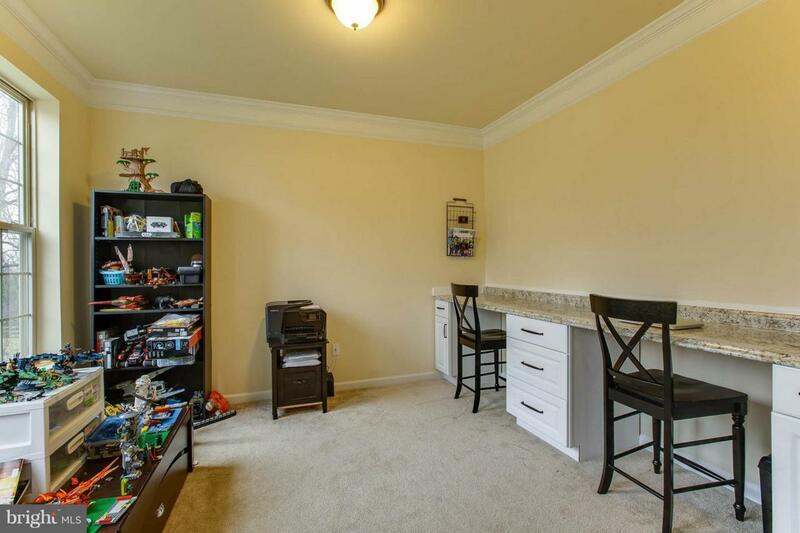 There is an additional coat closet on your way to the powder room with hardwood floors opposite the family room. 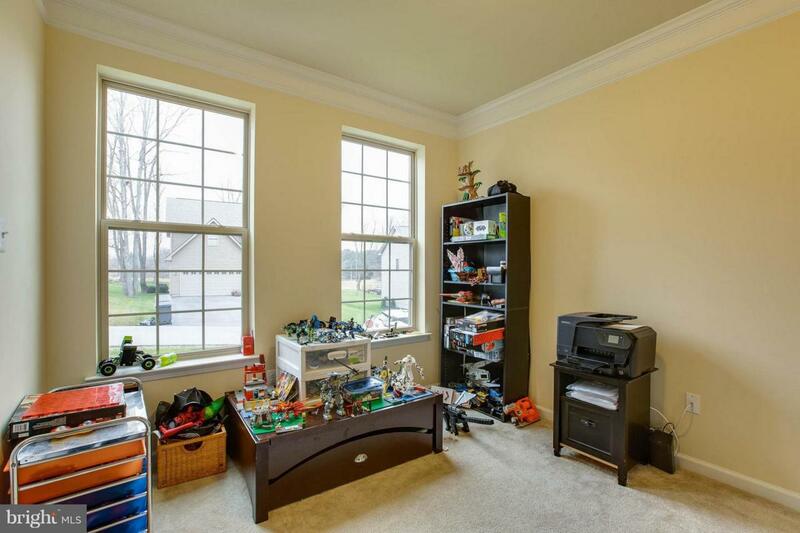 Use the front Den as an office, playroom or homework space on your washable, hard surface built in desks. Crown moldings add some style to dress up your guests first look into this stunning home.The formal dining will serve as the envy of your guests as they join you for your dinner parties, holidays or just an everyday gathering place for the family. The chair and crown moldings give the room a dressed up look while the farmhouse chic chandelier adds modern flair.The bedroom level upstairs features a master wing replete with two walk in closets for any clothes or shoe-horse. Remote -controlled fan with light and plenty of space for a king bed and larger furniture pieces. The en-suite bath has a spacious shower and split, counter height vanities ideal for getting ready in your own corner each morning. Don't forget the private water closet.The hall houses your laundry, newer washer and dryer convey and sits right next to the guest bedrooms; making this daily chore a touch easier. Two large guest bedrooms flank the hall bath with counter height dual vanities making this shared space convenient. The 4th bedroom is spacious enough to serve as a second Master. A wall of closets, plenty of natural light and space for another King round out your sleeping quarters.Don't forget the 1,069 unfinished square feet in the lower level as it has high, 9 foot ceilings, a rough in bath, windows, walk out stairs and lots of natural light. Use your HGTV design skills and build out your ultimate recreation room, 5th bedroom or just leave it for plenty of storage! The lot slopes slightly downhill but has plenty of room to spread out or add a deck, multi-level patio or hard-scaping to take advantage of this lovely space.Enjoy private Lake lifestyle all year round with trails, tot lots, fields, basketball, tennis and 2 beaches. Spring touts LakeQuest, Summer the Concert Series and 3 pools, Fall we have food trucks on Tuesday evenings, organized activities throughout the year and so much more! Save on closing costs vs. new construction as seller splits transfer and recordation taxes 50/50 as opposed to buyer paying 100% with new. Property is USDA eligible for 100% financing.